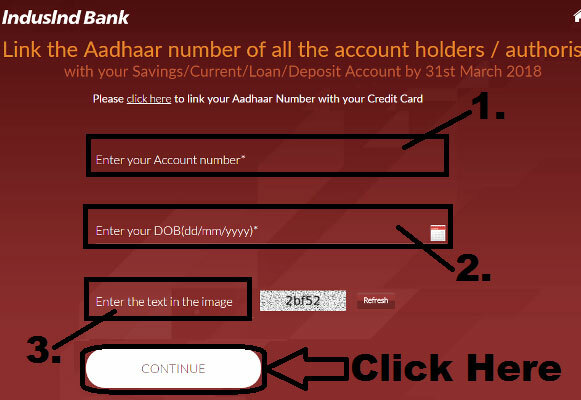 pixel How To Link Aadhaar Card With Indusind Bank Account Without Net Banking & Mobile Banking ? 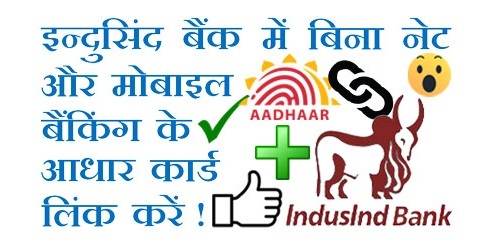 How To Link Aadhaar Card With Indusind Bank Account Without Net Banking & Mobile Banking ? How To Link Aadhaar Card With Indusind Bank Account Online ? उम्मीद करते हैं दोस्तों अब आप समझ गए होंगे - How To Link Aadhaar Card With Indusind Bank Account Online. 1.) How To Deactivate/ Delete Flipkart Account Permanently Step By Step in Hindi ? 2.) How To Check Your IndusInd Bank Account Balance By Missed Call in Hindi ? 3.) All Banks Missed Call Numbers To Check Account Balance - Balance Enquiry. 4.) अगर बंद हो जाते हैं 'मोबाइल वॉलेट', तो जानिए आपको क्या-क्या हो सकते हैं नुकसान ! 5.) How To Transfer/ Send Money Online From SBI Without Adding Beneficiary in Hindi ?